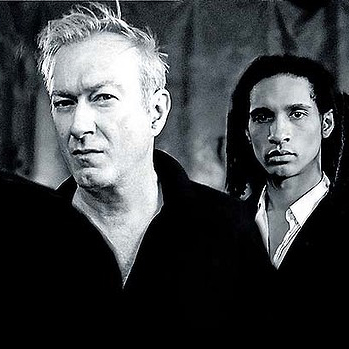 Along with Joy Division, Public Image Ltd, the Fall and Siouxsie and the Banshees, two bands that are always name-checked in the post-punk pantheon are Wire and Gang of Four. Both are still a going concern, both are still releasing albums and both will tour Australia soon. The most difficult thing about discussing post-punk with bands from the post-punk era is the fact that many of them deny post-punk existed. Maybe not, but there’s a fair case to be made that post-punk has had a much bigger influence on modern rock music than punk itself. It’s hard to imagine the Strokes, Franz Ferdinand and Bloc Party existing without it. Kurt Cobain once claimed that Nirvana started out as a Gang of Four rip-off. Red Hot Chili Peppers and the Futureheads were such fans that both groups hired the band’s guitarist Andy Gill to produce their debut albums. Wire’s influence has been acknowledged by everyone from R.E.M. to Blur. So, what exactly was this thing called post-punk? For Gill and his band, it was funk, ska and dub reggae that provided musical inspiration, along with the intense energy and direct attack of London pub rockers/punk precursors Dr Feelgood. What the two bands had in common was an aesthetic. They emphasised minimalism and severity in their sound and looked to past cultural movements such as dada, surrealism and situationism to comment on everything from consumerism to politics to human relationships. The original post-punk bands may have little desire to be seen as members of the post-punk club, but Gill is finally at peace with the label. “Gang of Four were called quite a few things at the time, some printable and some not,” he says. “If someone called us punk, we’d say, ‘no, that’s wrong’. If people called us new wave, it set our teeth on edge, because it grouped us in with Huey Lewis and the News. I think in the end we just threw our arms up in the air and gave up on what we were meant to be. Wire play the Oxford Art Factory on February 20; Gang of Four play the Metro Theatre on March 20.